Organizing can simplify your life. 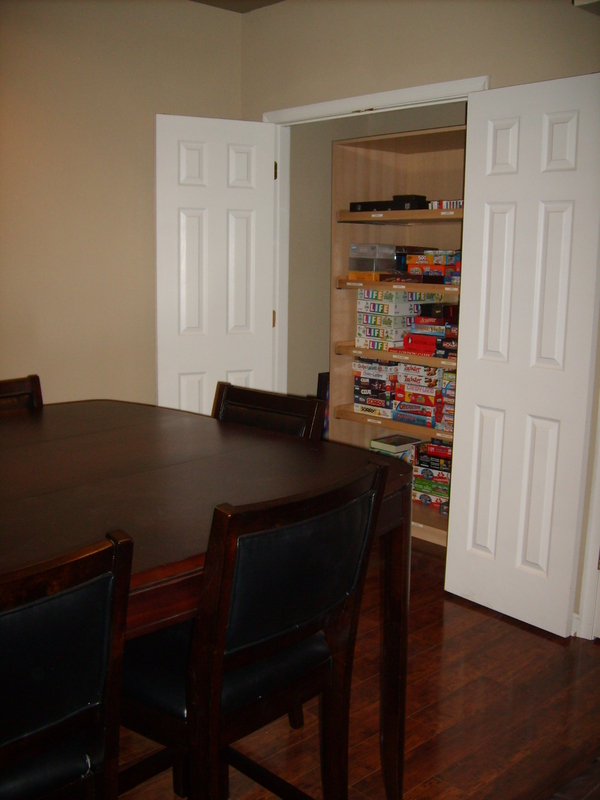 Check out this game closet. Do you think the family has an easy time finding what they want? 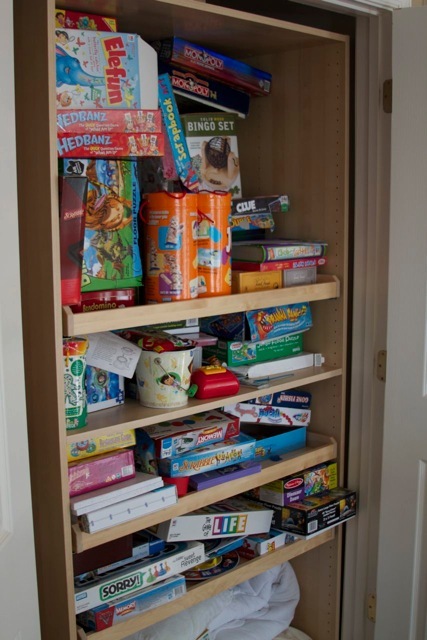 Do you think the kids can put anything away? 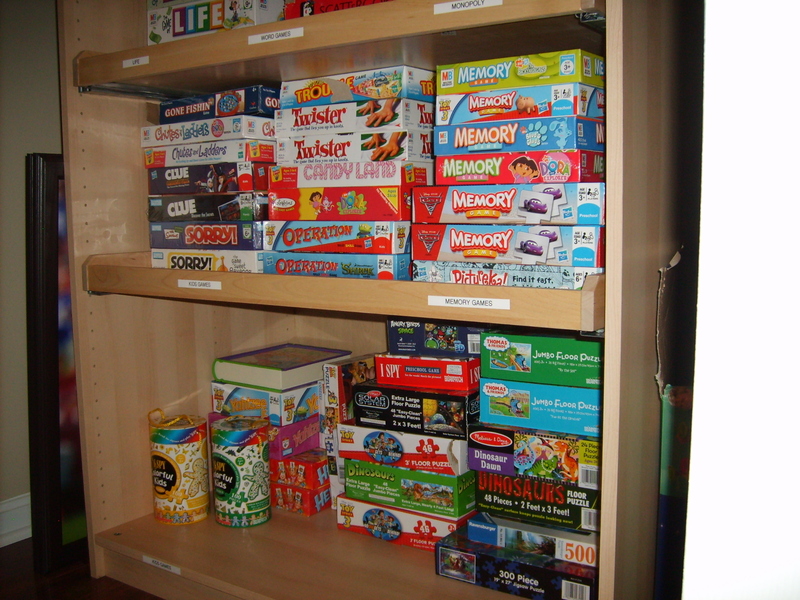 By organizing the games and crafts into categories, now they are able to see what they have. 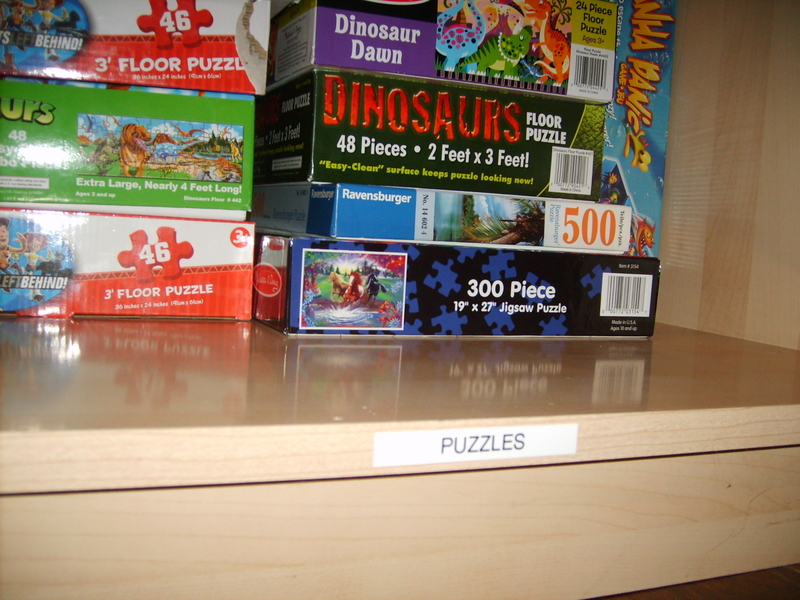 By labeling the shelves, even the kids can remember where a certain games should go. They can also see that they have several similar or exactly the same game. This will help them to eliminate what they don’t need. Now who’s ready for family game night?! 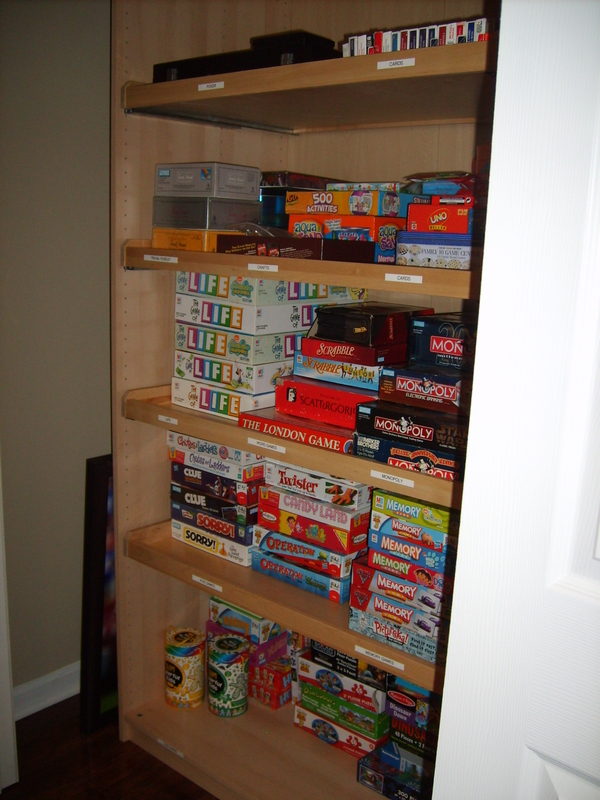 This entry was posted in Residential Organizing and tagged DIY organizing, Organizing Families, Organizing Games. Bookmark the permalink.